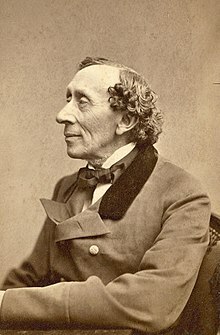 In his later years Hans Christian Andersen wrote novellas and stories for an adult readership, uniting the immediacy of the fairy-tale and the novel’s concern with social perspectives. Like The Ice Virgin written two years later, A Story from the Dunes is of this kind. It was published in 1859, the year of Darwin’s Origin of Species. A son of high-ranking Spanish parents is born out of shipwreck and lives his life in an alien country without knowledge of his origins. 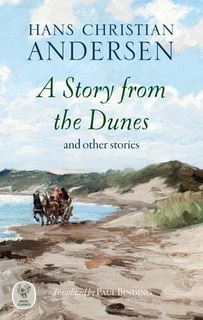 In the context of the clash of interpretations of human existence Darwin’s discoveries were engendering, and with the unforgiving setting of the remote fishing community of Skagen on the Jutland peninsula’s northern tip, Andersen tells a moving story of a life in which the fittest does not survive. Its characters’ appeals to the power of All-Loving God have a troubled ambiguity. Andersen, a passionate believer in the soul, found the challenges to Christian belief unsatisfactory, and always sought for meaning in ordinary not to say obscure lives. Three further stories present the everyday world with gentle touches of fantasy: a demonstration of the arbitrariness of social position; a delightful squib on the literary life; and an elegiac tale which is probably Andersen’s last. HANS CHRISTIAN ANDERSEN (1805–75) was born in 1805 in Odense, then the second city of Denmark, the son of a shoemaker and a washerwoman. His father died when he was eleven. He left home for Copenhagen at the age of fourteen in an unsuccessful attempt at a career on the stage. He managed to complete secondary education in his early twenties. After early difficulties with social acceptance as a young man, he travelled widely throughout Europe and met and befriended many writers and artists of the day. His writings outside the fairy-tale genre include novels, novellas and stories, travelogues, autobiographies and stage works.